Here at Birth Becomes Her, we love celebrating ALL birth stories. We believe that no matter where or how you have your baby...you are strong, beautiful, and brave. 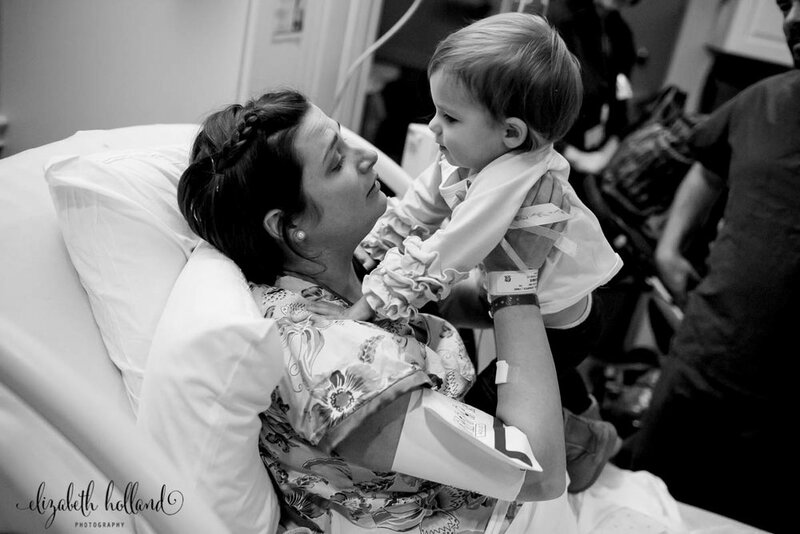 We were thrilled when Elizabeth Tucker sent us this beautiful cesarean birth story. The love between this family is so evident. I loved seeing big sisters snuggle on mom before (and after!) their little sister came into the world. 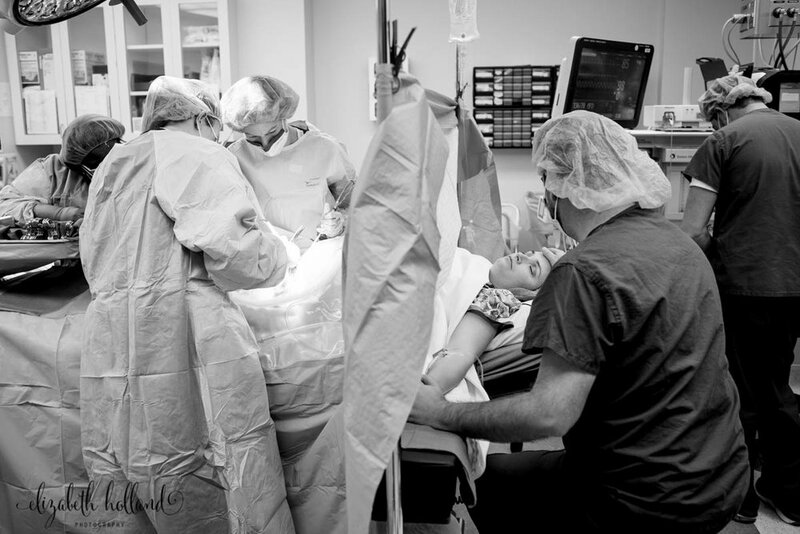 Elizabeth did a beautiful job of showing the world just how love-filled and peaceful cesarean birth can be. This sweet mama is my friend and coworker. She was due January 16 with a scheduled c-section on January 12 with her fourth baby girl. You read that correctly, her FOURTH baby girl. After a week of bedrest for high blood pressure they decided to deliver her on January 3. Our hospital prides themselves on being baby friendly. Therefore, this mom was able to see her little girl during delayed cord clamping and benefit from immediate skin to skin in the operating room. It is so beautiful and fun to watch and document my friends bring their babies into the world. This precious girl is the perfect mixture of her older sisters. They were so excited for her arrival. I will never cease to be amazed at the beauty of birth, no matter what form it comes in.